Photo left to right: Jack Beeching and Val Pate of WSHFC, Aaron Stright and Phil Nored of HNN, and Jack Hunden of DevCo. Duane Bakke of WSHFC was also present and took this photo. In 2008, Coast managed 37 Tax Credit and Bond financed properties with 2100 units of affordable housing in Washington State. Five properties are located in Yakima County: New Life Villa, Sunnyside Family Housing, San Isidoro Plaza, Buena Nueva and Juan Pablo. These five properties serve Farmworkers. Coast also manages affordable units for the Elderly, Disabled, Homeless and general Family Housing. 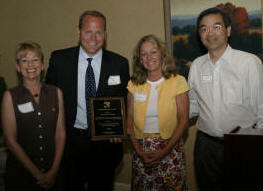 For over 20 years Coast Real Estate Services has maintained their company goal to “exceed our clients’ expectations.” Award was presented by Commissioner Tim Otani to Shawn Hoban, co-owner of Coast, Kathy Reyes, Compliance Director, and Mary Anne Hoppe, Portfolio Manager as part of a Commission reception held in Yakima in June 2008. 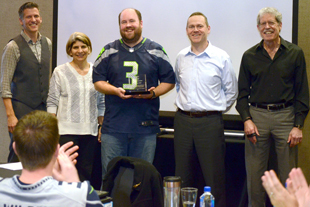 In 2003, this award was presented to the City of Seattle Office of Housing (OH) to recognize their long-standing partnership with the Commission (WSHFC) in providing affordable housing for the citizens of the City of Seattle. The City and Commission have worked in partnership for many years. In 2000, OH and WSHFC signed a Memorandum of Understanding (MOU) to share monitoring duties and information on properties with joint funding from OH and WSHFC. This relationship has proved beneficial for both agencies and has been a benefit to owners, managers and residents of affordable housing as well, by reducing administrative reporting and on-site inspections. 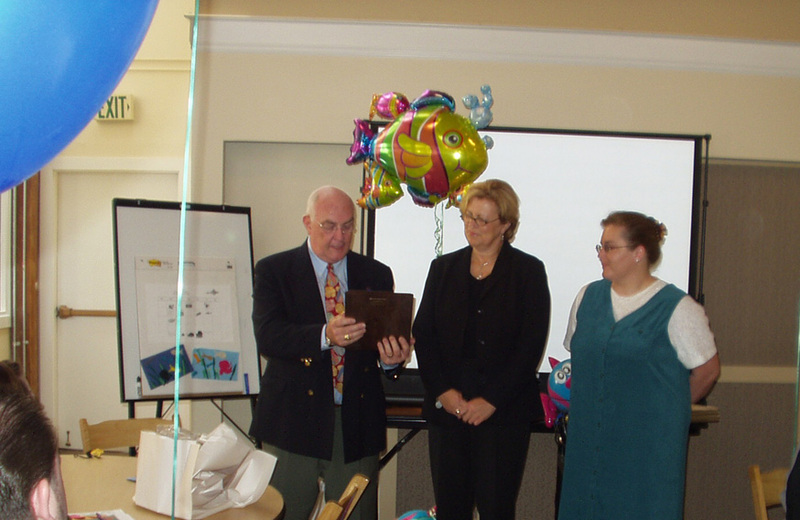 Presented by Mark A. Flynn to Katie Hong, Director, Seattle Office of Housing, on October 2, 2003. In 2003, AHMA-WA received the award. A non-profit membership organization representing developers and property managers for multifamily affordable housing properties in Washington. In 2003, its membership of approximately 60 cumulatively manages 20,000 units statewide. Presented by Mark A. Flynn, to Doug Repman, President, on August 15, 2003. 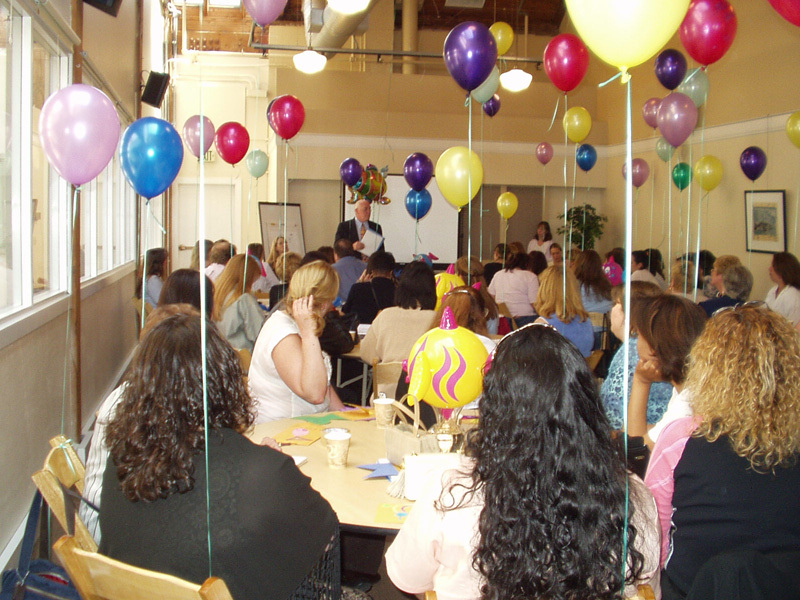 In 2003, SHAG managed 19 projects of senior housing totaling 2500 units. The consistency of their reports and supporting documentation always rates among the best. Presented by Mark A. Flynn to Arthur Martin on August 12, 2003. In 2003, Quantum received their award for their continued commitment to maintaining superior compliance with the Tax Credit and Bond Programs. In 2003, they managed 49 properties in Washington with 2919 low-income units. They continually display dedication and routinely submit clean reports. Presented by Mark A. Flynn to Doug Repman, President, on August 6, 2003. In 2003, Ad-West managed 37 properties in Washington with 1,010 low-income units. They specialize in Rural Housing projects and are able to comply with Rural Development and Tax Credit programs. They are responsive and thorough. 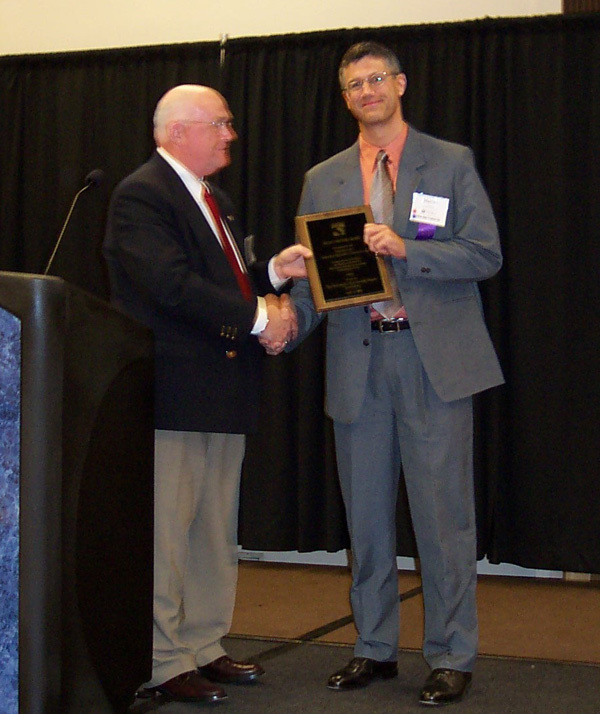 Presented by Mark A. Flynn to Warren Wested, President, on June 11, 2003. In 2003, Allied managed 19 tax credit and bond properties housing totaling 1,350 units. The consistency of their reports and supporting documentation always rates among the best. 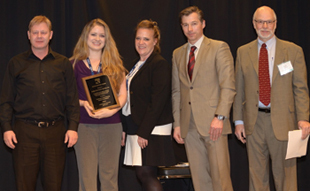 Presented by Mark A. Flynn to Sloan Jordan, President, Lanakay Lipp, Compliance Monitor, on May 29, 2003.
in 2003, USDA RD/WA received the award for working together with the Commission to finance nearly 2,500 units of rural housing with Low Income Housing Tax Credits. Additionally, Rural Development and the Commission have shared compliance information and conducted compliance reviews under a joint Memorandum of Understanding since June 17, 1994. 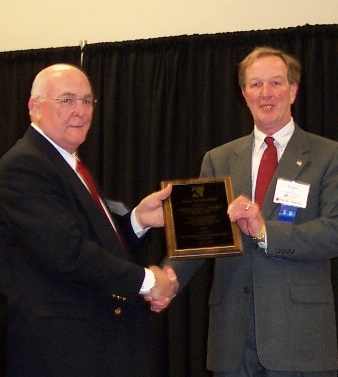 Presented by Mark Flynn to Robert Lund, Program Director, USARD/RS, April 15, 2003.